Clare Allan was the winner of the inaugural Orange Short Story Prize in 2002. 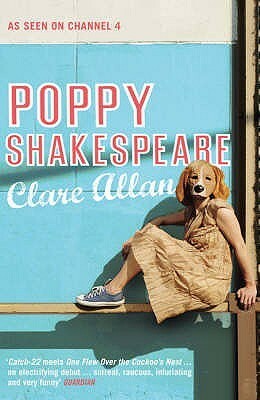 Her first novel, Poppy Shakespeare, was published in 2006 to widespread critical acclaim. Described as ‘an electrifying debut’ by The Guardian, and by the Telegraph as ‘extraordinarily moving’, the novel was shortlisted for The Orange Prize for New Writers, The Guardian First Book Award and the Mind Book of the Year. It was also adapted for television, starring Naomie Harris and Anna Maxwell Martin, and went on to win a BAFTA. Clare’s second novel, Everything is Full of Dogs will be published in 2016. 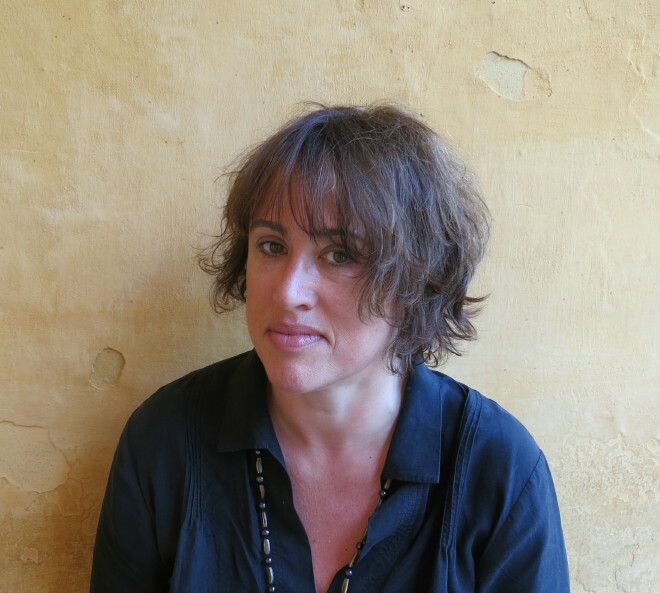 Clare has published extensively in the Guardian, the Times, the Telegraph, the New York Times, the Independent and elsewhere and has been writing a column for the Guardian, It’s my Life, since 2006. She lectures in Creative Writing at City University and lives in Norfolk and London. I’ve been inventing stories since I was very young, before I could even read and write. I love making things up and seeing where a story takes me. I wrote a couple of short “books” around the age of nine or ten, one fiction and one a non-fiction book about elephants, complete with illustrations. I then wrote a novel in my early twenties and a second, entirely in rhyming verse, neither of which were published, though I’m still rather fond of the rhyming one, a reworking of Hamlet, called Danish Bacon, and would like to do something with it one day. Poppy Shakespeare was the third novel that I wrote, but the first one to be published. I’m currently completing my second novel, Everything Is Full of Dogs, which tells the story of a man and his dog who wake up following a car accident to find that they are trapped in each other’s bodies. I have to be alone. I cannot work in a room with other people present, in a café say, or a library. So I work at home, ideally in a small room dedicated to work. In London, I’ve arranged my tiny flat so I sleep in the sitting room / kitchen and use the bedroom as a work room. It’s not ideal but I like the sense of being shut away from everything when I’m working. In Norfolk, where I’m currently renting a cottage on a farm, I have a separate work room, which is great. The other crucial thing is no internet. I am terminally distractible and because I need the internet for other aspects of my work, have resorted to numerous forms of internet blocking software and devices. I write in silence—I find music too distracting—apart from my dogs, who are usually curled up on the floor beside me. My best time for writing is first thing in the morning, as early as possible. I often start work at around 5am, before it gets light. It’s all extremely haphazard. I think and write an enormous amount around the themes and ideas of the novel but I don’t plan the writing of it in any detail. By and large I try to keep going and solve problems as I go, not editing until the whole thing’s down because otherwise I lose the flow, start stressing and everything grinds to a halt. I am certain that for me it’s best to just get the draft down and worry about it later, but that doesn’t mean I always manage it. I don’t. I stress. I grind to a halt. There is a large amount of despair involved in the creative process, or there certainly is for me. I feel driven to write fiction; I always have. I don’t think I could ever be satisfied with a life that didn’t have writing at its centre. When I’m feeling open to inspiration I can be inspired by pretty much anything. Many writers, of course, especially those who use language in a playful and inventive way and with whom there is a sense of an imagination cracking things open constantly to reveal the limitlessness within. I’m thinking in particular of writers like Nikolai Gogol. The solitude is difficult. Whether the writing is going well or badly, you are on your own with it; there is no one who can fully share the highs and lows of the process with you. I also find sustaining momentum over the marathon haul of a novel a challenge, especially with all the competing immediate demands of teaching or journalism for example. You have to be ruthless about sealing off novel time. To keep writing fiction, write as well as I can and to keep developing as a writer, not settle for doing something again because I know it’s worked before. I think it’s a huge shame that we translate so comparatively few books into English; far more are translated out of it. I feel that I miss out on hearing from a great many really interesting writers because of this. I’d be interested to hear from Yiyun Li.